AAP decided to skip the Election Commission EVM (vote machine) tampering's challenge on Saturday, complaining that the rules were too restrictive. 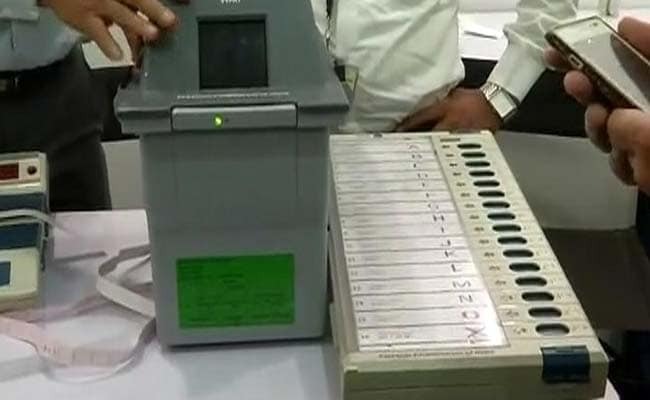 New Delhi: Arvind Kejriwal's Aam Aadmi Party (AAP) will hold an EVM or Electronic Voting Machine "hackathon" on Saturday, the same day as the Election Commission's challenge for parties to prove allegations of tampering. AAP says its "counter-hackathon" aims at proving that the Election Commission's exercise "is a farce". "In the same conditions in which the Election Commission is holding its challenge, AAP will demonstrate its own machine, which we declare is tamperable. We are inviting political parties and all experts in the world to come," said AAP's Saurabh Bharadwaj. Mr Bhardwaj, who had held a live demo last month in the Delhi Assembly of tampering on a prototype, said Chief Election Commissioner Nasim Zaidi is also invited. Delhi's ruling party has been the most aggressive in alleging that EVMs were manipulated in recent state elections. But it has decided to skip the Election Commission's challenge, complaining that the rules are too restrictive and all that anyone could do was to press the buttons of any four voting machines that were used in recent state elections. AAP says its hackathon will prove that "no machine can be tampered with by only touching buttons". The powerful election body, which has organised the challenge to tackle allegations that the voting machines can and have been tampered with, has made it clear that it will not allow any changes to the machine's hardware. Also, it says participants can bring only wireless devices and no tools, and can only touch buttons. The Left party CPI-M and the Nationalist Congress Party were the only ones to apply for participation in the Election Commission's challenge. The Commission had invited seven national parties and 49 state parties to apply for the challenge, which will be webcast live.